The Royals missed out on promotion to the Premier League after an agonising penalty shoot-out defeat by Huddersfield at Wembley on Monday. 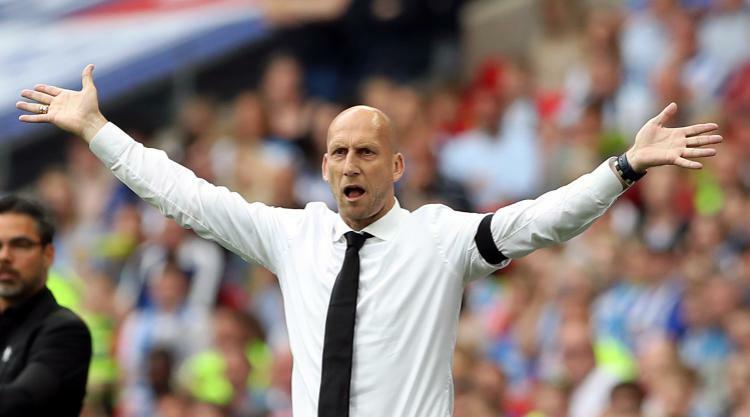 Stam's achievement of guiding unfancied Reading to third in the Championship and the play-off final, in his first season as a manager, will not have gone unnoticed by some top-flight clubs. But the Dutchman has said he is happy to stay and co-chairman Madejski feels it would take something extra special to tempt him away. "I think he will be here, he has got a job to do," said Madejski. "I hope he will be here. I mean, every manager who is successful is always under the spotlight, but I hope he will stay. "I think he is very happily ensconced in Berkshire, so it'll have to be a pretty big, tempting offer by my estimation to take him away from Reading. "He has done a fantastic job, as have his support group, so yes, I would expect to see him back here next season." Liam Moore and Jordan Obita, two of Reading's best performers this season, missed their penalties before Huddersfield's Christopher Schindler slotted in the winning spot-kick. Stam, 44, was due to meet with the club's new Chinese owners Dai Yongge and Dai Xiu Li, who were at Wembley to witness Reading's heartbreaking loss, on Tuesday. "Mr Dai was there with his sister, but it is a bit difficult talking to him because he can't speak English," added Madejski. "But he is obviously very magnanimous and thanked the manager for everything, and he reciprocated. "They will have a de-brief on Tuesday, as I understand it, but that's football I'm afraid. "I think we did ourselves proud. Nobody for one moment would have suggested we would be in the play-offs at the beginning of the season. "At the end of the day we come away empty-handed. But nevertheless it's been a great season and something to build upon for the future."